Gracen Lowell is on the hunt for a man - but not just any man. He has to be "the one". Her only problem is that no one she’s dated has ever measured up to the charming qualities of her best friend. Gracen knows asking him to stay isn’t fair. Slade thinks leaving her behind is the only thing to do. Inexplicably drawn together, the best friends must decide if they have what it takes to own up to their feelings...before it’s too late. 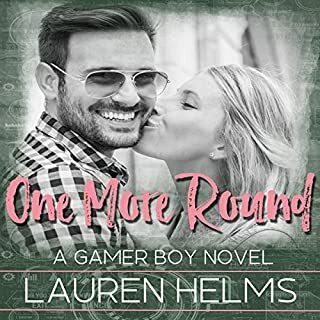 I already ready this book when it was first released on kindle. The story itself is beautiful - Gracen and Slade are like two peas in a pod. I love that the story is not just a straight forward romance. It's full of twist and turns and there are enough heart breaking and heartwarming moment's to keep you hooked! The audio reading of this book was actually a first for me as I tend to avoid dual point of view books read by a single narrator. however, Angie Morency did such a fantastic job in my opinion. There was a clear difference in her characters and quite honestly it's made me want to give other single narrator books a chance. Overall the entire experience was great and it was lovely to have to story refreshed after all this time. this was an okay story. two friends who were to chicken to act on their feelings. the narratoration was hard to listen. there really wasn't much influx between male and female voices. I was not expecting Greyson's story to take the turn that it did. It was a very well told story and had me in tears at times. If abuse is a trigger for you I would take caution in reading this story. I must start out by saying that I expected this to be a romance through the whole story, I never expected it to have domestic violence in it. I usually steer clear of those types of book. With that being said, I appreciate that the author did not get in to more details about it than she did. I actually found myself on the edge of my seat waiting on this jerk to get his karma. Gracen and Slade seem to have been fated from the beginning and everyone around them can see it but them. At times you get so frustrated with the two, but you also have to remember they are young and don't have the experience yet in relationships. And the Australian Sheppard was one of my favorite characters in the book. I love Aussies! Angie Morency did a very nice job bringing this story to life she was a great fit for this book. I personally enjoyed the book! This is a well written, well told story that tugged at my heart. It shows how a person can be their own worse enemy, allowing miscommunication and stubbornness lead them away from what they really want. Gracen & Slade were best friends, each wishing and wanting for more but not telling each other this. When they do finally talk about their real feelings comments made were misunderstood causing them to think they did not want each other that way. Slade moves away, Gracen moves on with Clint, who turns out to be abusive. After a horrific incident Slade comes back home. Their story and journey to love was not an easy one but I was glad they finally came to their senses and realized they were each other’s everything. Shoutout to Sonya Loveday, domestic abuse/violence is not an easy topic to cover. She did a great job with it. Kudos for including the helpline numbers and letting her readers know help is out there. 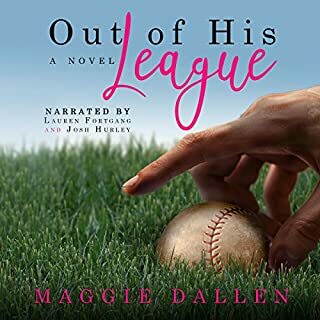 I listened to the Audible edition, Angie Mordancy did a wonderful job narrating and telling the story. She performs the voices of all the characters, brings them to life & gives them heart and personality. You can hear the emotions flow from the characters Thank you for this great & entertaining listen. This book took me a while to get into if I’m honest but once I did it was fantastic. It really hits home the effect abuse has on people. Very well written and a great performance from Angie. This friends to lovers story is emotionally charged and left me wanting more! Gracen and Slade have been best friends forever. 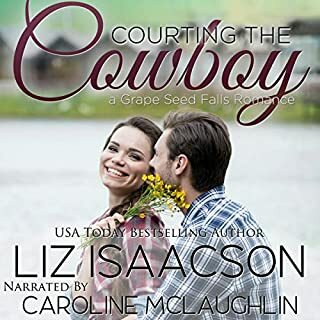 In love, but too shy to tell each other, Slade takes a job in Montana to give Gracen the time she needs to find someone and time for him to get over her. What no one bargains for is the relationship Gracen becomes involved in. 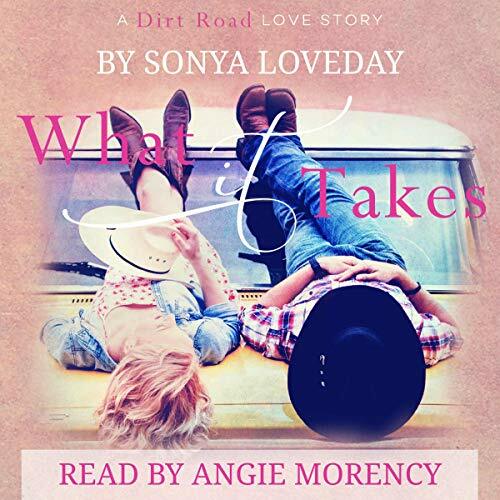 Sonya Loveday writes a story that includes domestic violence with realism and compassion. It's a heavy subject and she hits it head on. I loved Gracen, she was young, yet knew what she wanted. She just didn't know how to get it. Slade, while I understand his thinking made me a little frustrated. There were a few times, I wanted to knock sense into both of them, but this for me is a sign of how invested I am with the story. It's a great listen, and I highly recommend it. Angie Morency is a good voice for this age. Her narration is full of the first love feelings, the sadness of breakups and fear of violence. She drew me in and let me experience their journey. What was a light and cute southern romance, turned emotional and gripping. This was such a good story! This was my first time reading this author and prior to starting this audiobook, I had never heard of her work. But I look forward to reading more of her work because I loved this story! This book wasnt what i expected it would be. I was expecting the sweet typical love story between two bestfriends who finally realize they belong together after being separated but it was a bit more than that and I'm glad. 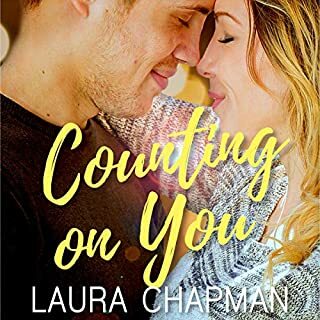 The beginning started off super cute with tons of moments with her and her bestfriend who she was secretly in love with and he secretly felt the same but already made plans to leave town for a job. He left her behind and months go by with no communication between the two and she gets closer to another guy she had turned down lots of times due to her bestfriend. Now that he is gone, she decided to move on and take a chance with the wrong guy.She decided to end things after realizing his true ways that became terrifying but she realized she waited way too long and now it may be too late. I struggled with it in the middle but once I got to the last half of the book things finally picked up again and things got a bit intense with a bit of a dark turn but it caught my interest again and held it until the end. I enjoyed it okay though, even though the characters annoyed me most of the time because they kept going in circles around each other instead of just being up front about how they felt. Enjoyed listening to this book. There were some intense scenes involving abuse. Gracean and Slade do find their happiness in the end. When I got this one, I was expecting the typical friends to lovers story. You know the one. Boy meets girl, they become friends, they fall in love but neither of them realizes it is mutual until someone finally makes a move and they live happily ever after. While this story does have several of those pieces, it also has so much more. These characters have a hard road and several obstacles to overcome to make it to their HEA. They were very well developed on their own, and it made their relationship with one another that much better, because I wanted them to find their happiness so badly! There was a bit of everything in this book. Love, suspense, heartbreak, friendship, and a happily ever after. I was hooked from the very beginning and didn't want to stop listening until I got to the end. The narration was really well done! This was my first time, I will definitely listen to Angie Morency again! I didn’t care for the book in the beginning. But I stuck with it and I grew to like it. One thing that made me not like it was the two main characters love each other and they both make it pretty obvious but they’re oblivious to each others feelings. It’s infuriating. Even though it takes a tragedy to bring them together they eventually clear everything up. The narrator isn’t horrible but I do think she paused while reading more than necessary. Also, I LOVE when I listen to a book and I can feel the emotion from the narrator but I didn’t feel it here and this story has emotional scenes in it that need justice. I’m not going to write the narrator off, I do want to hear more of her! I also love the fact that the author added helpful numbers at the end! Prompts to you Miss Loveday! Good book! I am a horse girl myself, and usually stay away from books with horses because the author gets it all wrong. Not with this book! Only caught one flaw about the horses, but was no big deal. Narrator was wonderful, except for Lex's voice. He is roughly 25/26ish years old(?) and sounds like an 80 year old smoker, on death row, missing half a lung, after drinking lemon juice and baking soda. Other than Lex, the narration was wonderful! Warning! There may be triggers for some! Overall, this was a wonderful book and will definitely be reading/listening again! I loved this book and the narrator was very easy to listen to. 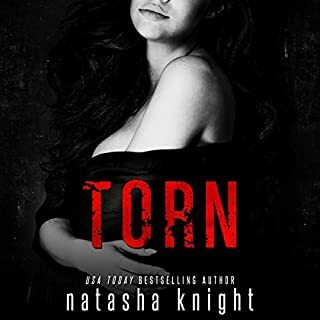 This was a great love story with twists and turns that will keep you guessing and make you want to keep reading. A sweet romance that has it all ! Best friends to lovers story line . You might need a tissue . . The bitter becomes sweet . An amazing job by the narrator . 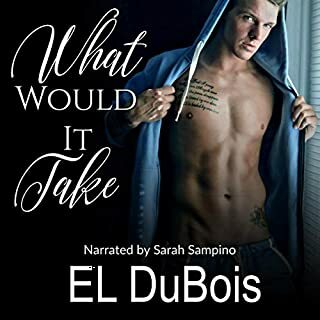 What it Takes was a wonderfully emotional book! Gracen and Slade are best friends. Gracen is celebrating her 21 birthday, and Slade has taken her to a club she’s finally old enough to go to. Gracen is also looking for her forever love. What these two have not admitted is that they are really in love with each other. Slade has accepted a job in Montana because he can’t stay and watch her fall for another man. 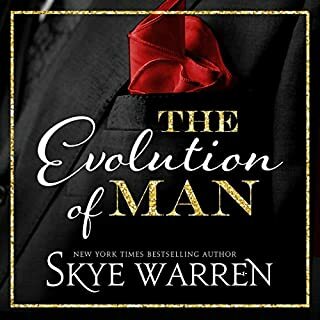 Gracen wants to ask him to stay, but doesn’t because she thinks she’s not being fair to him. They end up going camping, and making love, for the first time, afterwards being very awkward with each other. Slade tries to explain his feelings for her, and asks her to go to Montana with him. Gracen misinterprets what he’s trying to say, interrupts him, saying they aren’t meant for each other. Slade leaves without saying goodbye to her. Both are broken hearted. They don’t speak for months. In the meantime Gracen reluctantly starts seeing the ranch hand, Clint, who replaced Slade when he left for Montana. This book had me in tears. Both of them are disillusioned with the choices they made. It takes a major event to get these two in each other’s orbit again. I highly recommend this book!